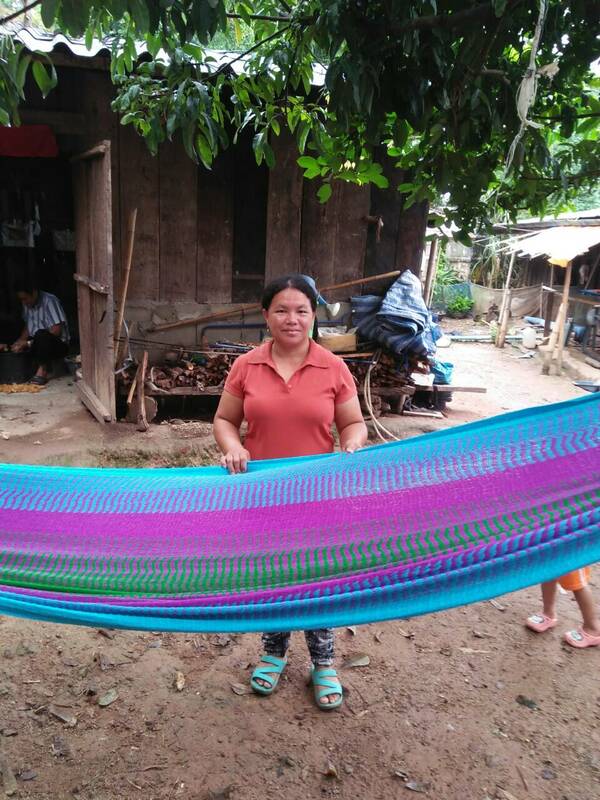 Supplementing income through weaving hammocks. A shared passion for these amazing hammocks. Scattered throughout Northern Thailand are small villages that have traditionally relied on farming as a way of life. With growing expenses resulting from modern life, traditional farming has proven to be insufficient. 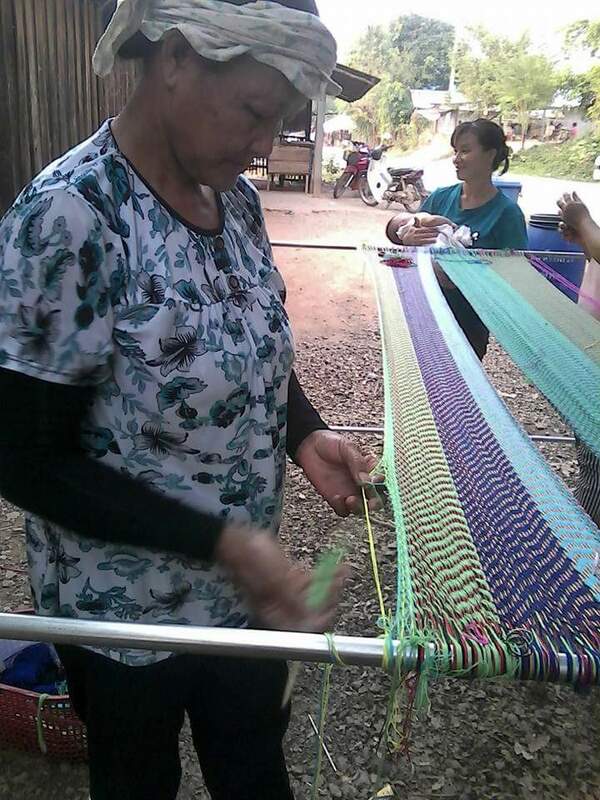 Hammock weaving is a good way for many disadvantaged people in the region to earn extra income when they are not farming. Fair pay at the pace they want. They are their own boss, and they set their own hours. It's a win win situation for everybody involved. Each weaver is responsible to supply their own yarn and set up. Some patterns are made to order while most patterns are up to the weavers imagination, which is what we prefer. Creating some of the most unique hammocks & best color combinations imaginable. Enjoy your hammock knowing your helping others. Known only as a myth for centuries, since they were never seen and the only traces left behind of their existence were their abandoned huts covered in yellow leaves they became known as “Phi Tong Leung” or “ghosts of yellow leaves”. With over-hunting, and the teak wood industry striping away the forests. The Mlabri were forced out of their natural habitat and forced into the ‘civilised world”. With years of help from a missionary named Eugene who prevented the exploitation of this delicate group of people, and later on, a motorbike enthusiast named Peter who would introduce how to make the worlds finest hammocks. The Mlabri social project would go on to be one of the most successful social projects in southeast Asia. 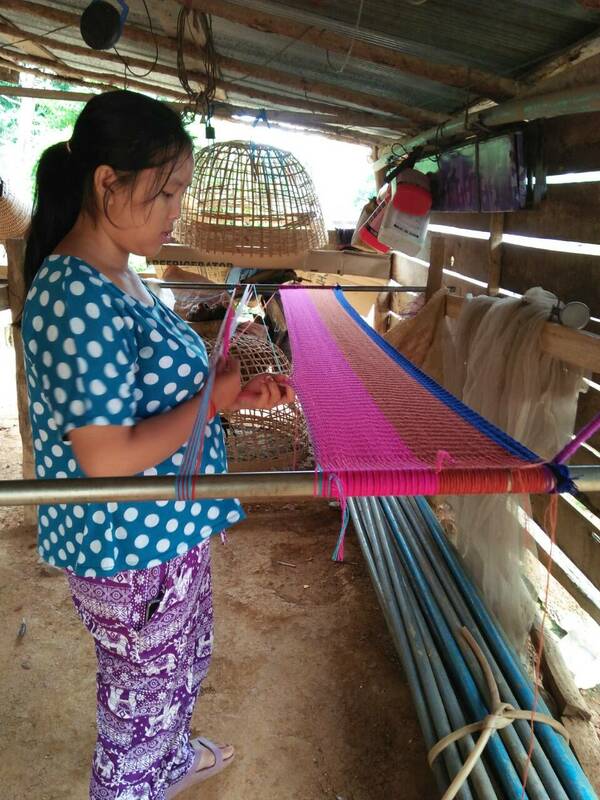 Weaving hammocks to help supplement their income without sacrificing their traditional lifestyle and farming practices. 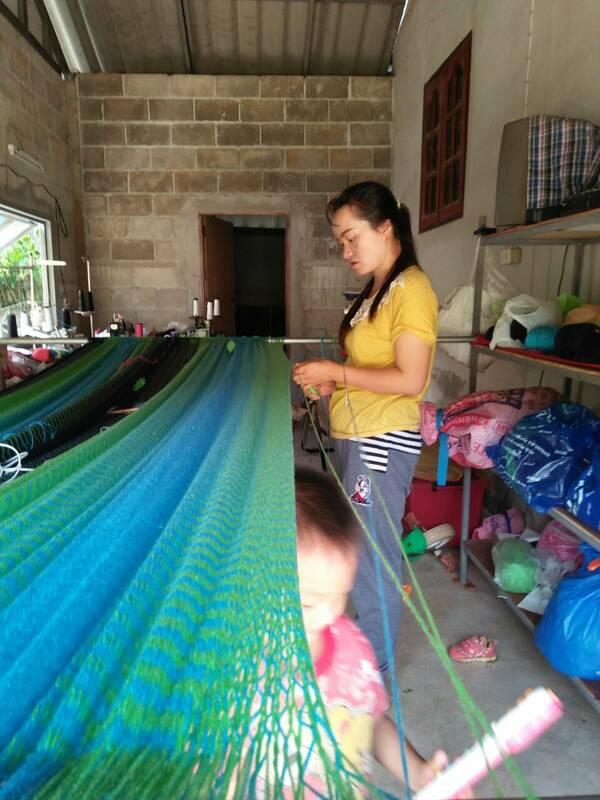 In many rural homes, a hammock room is added enabling everyone to work from home instead of in a factory. Everyone has a job making hammocks anytime they want. People from the neighboring villages have even started to join the workforce. Working with local farmers and disadvantaged artisans looking to supplement their income due to hardships. 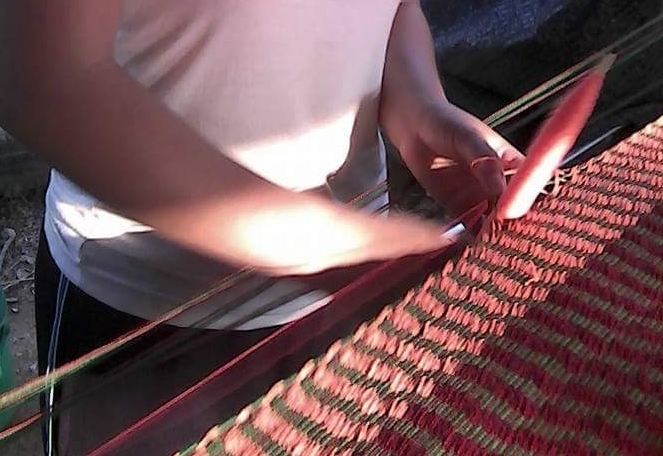 The weavers work when they want, for as long and hard as they choose. They get paid by the hammock, there is no time pressure on them. 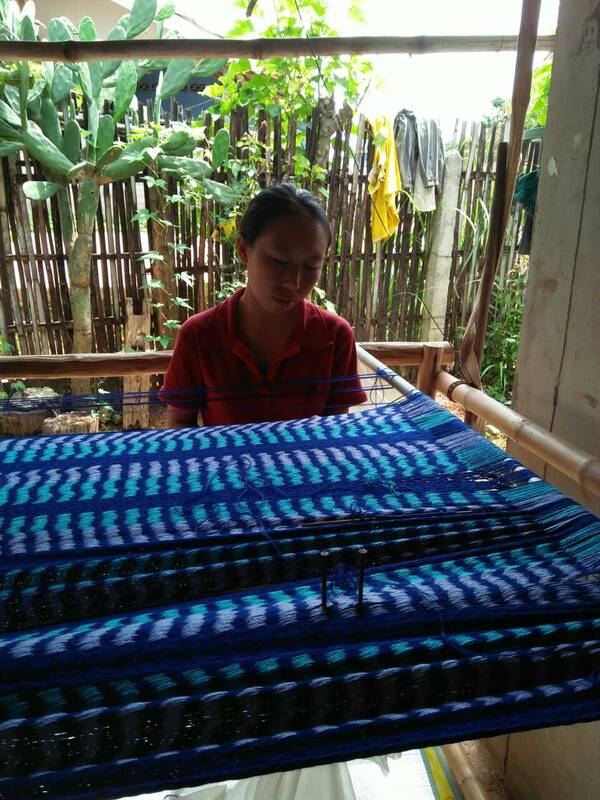 The art of hammock-making suits the artisans quiet lifestyle, and the success story is one of the most remarkable development projects in south east Asia.